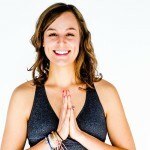 Marissa is a holistic Dance/Movement therapist and yoga teacher. She brings a sense of curiosity to her yoga classes, encouraging her students to explore the magic in the mundane: moving from the self to the stars and everything in between. She cultivates a challenging, yet nurturing, environment that maintains a sense of play and safety to support you in adventuring and growing. Her classes are a space where you can bring your whole self: as a dance/movement therapist, Marissa believes that each body is a democracy and has the inherent wisdom to heal through tuning in and deeply listening. She lives and loves the practice of yoga and somatic awareness in Denver and Boulder. Marissa began working with survivors in Washington, D.C. as a trauma-informed yoga and movement teacher. In particular, she worked with women and children within the D.C. shelter system. She has worked with adult women through MESA in Boulder, Colorado and has seen many clients in a hospital setting who have experienced trauma. Marissa feels it is extremely important to provide a reparative experience to survivors, to normalize their experience, and to give them greater safety in their bodies and their environments. She finds that all too often, there are many well-intentioned yoga teachers and therapists who have not been properly educated about trauma, and thus, promote more harm than healing. Marissa is committed to offering clients the “missing piece” in the healing and growth puzzle. Marissa offers yoga and Dance/Movement therapy to trauma survivors, and through this work, is interested in making clients’ experience of their body safe and whole again. To offer love and support in a whole way. To not shame or wrong the response and the experience. To embrace the individual in their rawness and realness, and to meet them there: to know that the first, and most fundamental, piece of therapy is relationship. To recognize that sometimes “yoga” might look like lying on the floor and breathing through the tears, and to know that is okay. All trauma is somatic, even if the trauma itself was not physical. Since our issues live in our tissues, working through the body holistically is one of the most effective ways to support healing and growth from trauma. New movement also promotes new connections in the brain, empowering individuals to re-wire their experience and relationship to the trauma and its associations. Everything is modified and individualized, from the language Marissa uses to the placement of herself and her clients in the space. Although she utilizes a framework when working with trauma, she believes that healing and growth from trauma is collaborative, and client-led. The range and manner of movement is different, as is the level of permission: everything has a choice, since during the trauma, choice was revoked from the client. This promotes a reparative experience for the client and increases their sense of personal choice and empowerment. Marissa has worked with various shelter populations; homeless youth; adults in transition; those battling addiction, depression, anxiety, personality disorder; and adults transitioning out of jail back into the community. She currently shares Dance/Movement therapy with adults and adolescents at an inpatient treatment facility, and serves as a Clinical Support Professional at Naropa University. I can offer a sliding-scale for my clients.